Black and gold 100% cotton unisex ringer t-shirt. Love the feel and fit. Glad I ordered a size up from my normal size, according to another reviewer these run a bit small and they were right. Absolutely LOVE it!! Definitely my new favorite tshirt! I just love the style and how it fits. 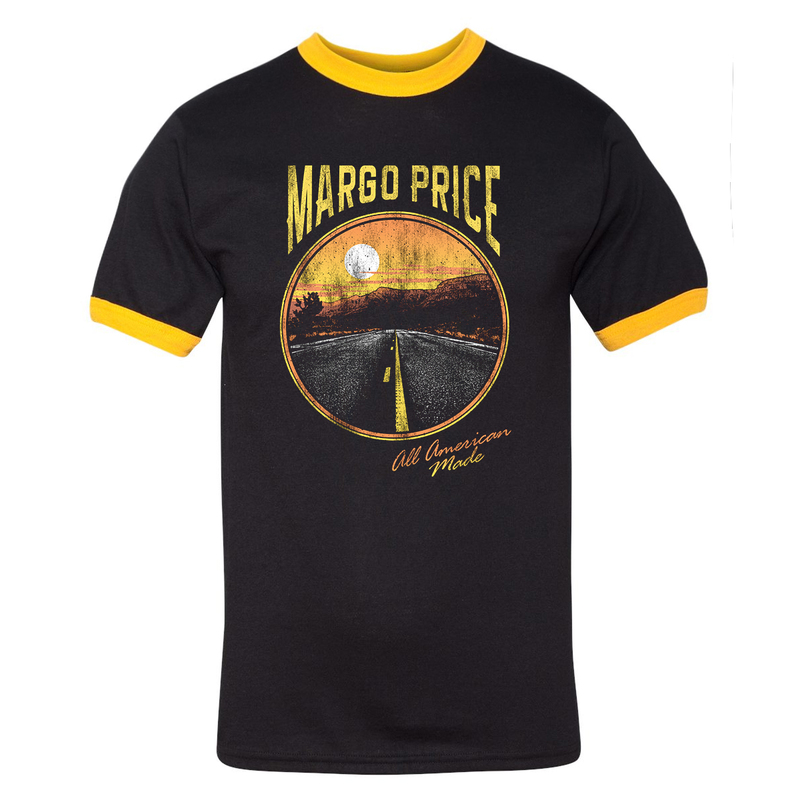 I will be purchasing Margo Price music and merchandise for as long as she puts it out! Fell in love with Margo when I read a profile in Rolling Stone. Bought her albums an now I'm hooked. The Tee-Shirt is beautiful, but it"s a little small for an XL. I held it up to a large and another XL it's like in between. If it shrinks when I wash it I'll have to mount it in a frame and hang it on the wall. I'll wear it for now then see after washing. Have worn this "ringer" t shirt now on two out of town gigs. Fit is perfect and I get compliments and comments on Margo each time I wear it. 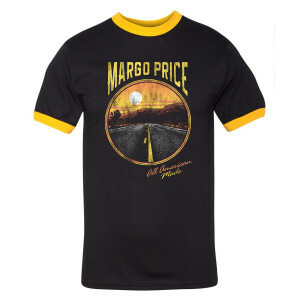 So if you're on stage or just listening to other great bands, this is a good shirt to keep in your wardrobe.